Traildonkey 3.0 is Rodeo Labs’ premier adventure platform. Expanded product page and details here. If a color / combo you are looking for shows as available for back order then it is completely sold out of our first two allocations for 2019. We expect the third allocation some time in late April or early May. We currently have 58cm, 54cm, and 52cm TD3 framesets in-stock and ready to ship in various (if not all) colors. If a frame color / size shows as in stock to add to cart then we have it in our current inventory in Denver, CO for immediate shipping. 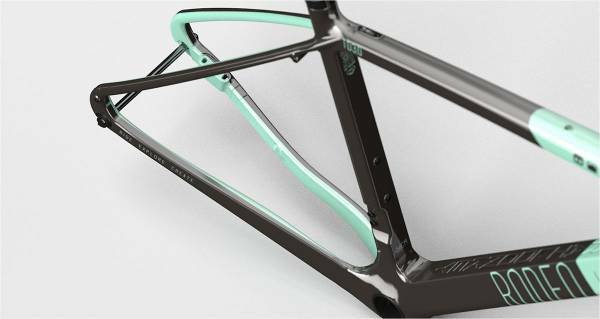 If the frameset size / color that you would like shows as available to backorder you may still reserve a frameset towards the next incoming batch. The next shipping date for backorders colors of 58cm and 56cm TD3 framesets is approximately May 10. The next shipping date for backorder colors of 54, 56cm is May 21. Paint colors may vary slightly from shades / values shown on your screen. “Naked” color is 3k carbon fiber weave with a gloss clear coat. No graphics. Suitable for painting or for customizing with decals. 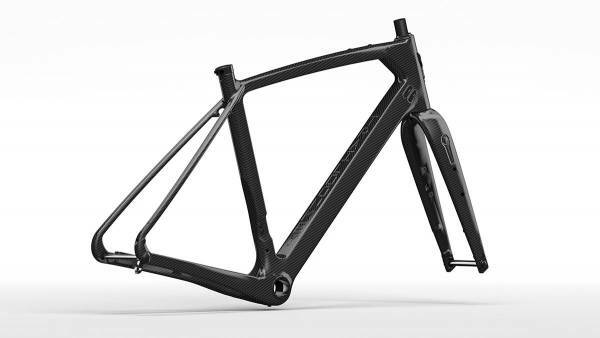 Certain sections of the Naked frame are smoked black. 3k weave on Naked frame will be variable as each piece of carbon is laid by hand. This is natural and is not considered a defect. 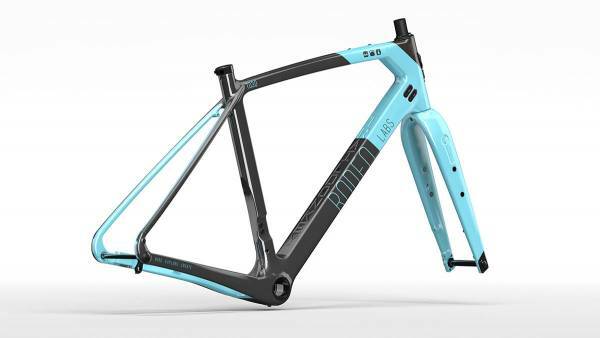 Frame weight 58cm 1350g raw, 56cm 1300gr raw, 54cm 1250gr raw, 52cm 1200gr raw. Hardware 70gr. Routing options Mechanical, Di2, eTap. Convertible or cappable endcaps. Brake Standard Flat Mount disc brakes. Post mount adapter compatible. Through Axles 12mm x 142mm rear. 15mm x 100 front. Front convertible to 12mm with optional conversion kit. Fork eyelets 2 mid leg eyelets per fork blade. 2 eyelets on each blade near axle. Optional offset eyelet kit. Dynamo routing Internal. Frame and fork. Front and rear light, USB stem cap, dynamo hub compatible. 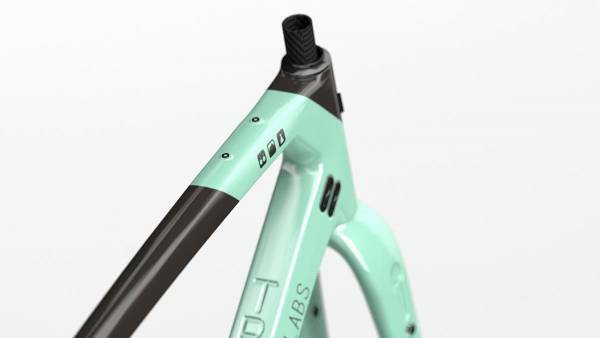 Dropper post Full internal routing for both internal actuation and external collar actuated posts. Drivetrain 2x or 1x drivetrain compatible. Removable front derailleur mount. Crankset Max 50t / 34t 2x chainring. Max 53t 1x chainring. Micro compact 32 / 48 compatible. 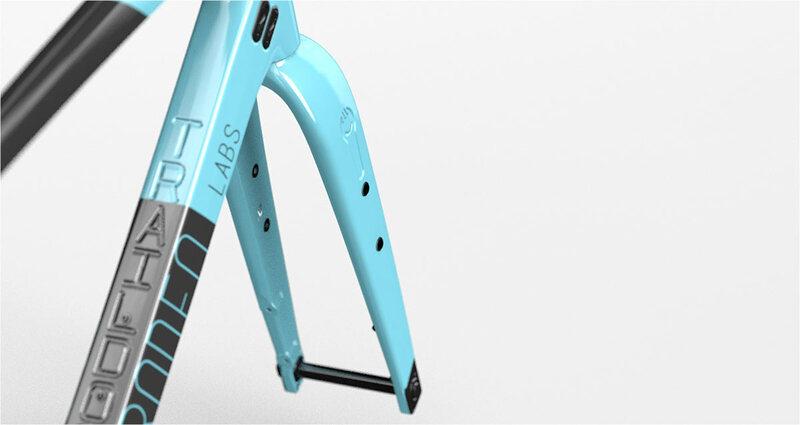 Fender / Mudguard mounts Frame and fork. Max 65mm at 700c. Removable rear mounting bridge. Bottle mounts 2 on inside main triangle. 1 on outside lower down tube. 1 on upper top tube. 2 on fork.